I notice that noobmeter has not been updating for the last day. Hey NoobMeter its this bug or what ? :D THX. EU WG web server was down tonight. Thanks for letting me know, it seems up now and I have relaunched the process. That should get the updates working, albeit a bit late. Inconsistent snapshot received from WarGaming: 15,818 battles in tank results, but 15,838 battles in summary results (difference 20 battles). Inconsistent snapshot received from WarGaming: 15,846 battles in tank results, but 15,868 battles in summary results (difference 22 battles). Different amount of battles missing from each snapshot. Ratings will be imprecise.Calculated ratings may be imprecise. Inconsistent snapshot received from WarGaming: 16,103 battles in tank results, but 16,128 battles in summary results (difference 25 battles). Inconsistent snapshot received from WarGaming: 16,134 battles in tank results, but 16,159 battles in summary results (difference 25 battles). Calculated ratings may be imprecise. OK, if you are NA, then please let me know your username (you can PM me on the NA server if you want - username NoobMeter). As I don't see issues in log and I see others from NA updated - I can check if there is some issue with your account in particular. Just noticed a bug in the tank list. It lists Hotchkiss H35 as a German tank, though I only played it as a French tank. Good point, fixed - but it will only appear on page after it expires from cache, so won't appear immediately. Kind of of-topic but it does concern data. I understand Eff Ratings ignore Damage Under Detection (and many other significant parameters) making them less than accurate as a means of valid player comparison, however why does your Replay portion of the site ALSO ignore Damage Under Detection? This seems like a HUGE OVERSIGHT when the data IS readily available in the post game data. The other replay sites displayed this data. Any chance you can include it here? Good point; it is an oversight. I will add this. This is now added; thanks for letting me know. Please shout if you see any further issues. It is there now :) Thank you! You are welcome - let me know if you notice anything else, and thanks for helping to make the site better. Hi, first to say you are doing an awesome job with the noobmeter. Second: You said that the WN6/7 were not affected by the current issues. I just glanced at my stats from yesterday's play and noticed that I did more average dmg and exp in the 24 games yesterday than in the last 965 with the same real avg tier of 7.4. What did affect WN6/7 so much, drop in win rate, base capture or the tier miscalculation? I think I'm wrong about WN6/7 not being affected, they still use average tier for some deductions. In case of RomelMyau the missing battles from WG are at fault. Likely in case of Alexander's too, but I would need a screen name to know for sure. Btw, will you recalculate the results on noobmeter after the issue is resolved? Screen name is RomelMyau (EU server). Tnx, for a quick reply. p.s. sorry for discussing here about this instead of pm's on forum, my company firewall is blocking all game related sites. Hope they don't discover this one. it also happens to my buddy with name Armo. Both in EU. Yes, it is the same inconsistent data problem from WG. Then you see a more correct avg tier. So how will this effect our WN6/7 rating in the long run? Is it corrupted on all other stats tracking sites? Will it lower our WoT stats permanently and shall we simply stop playing until it's resolved? a) As soon as WG fixes the feed, the situation will improve much. b) Your overall WN6/WN7 ratings aren't affected, only the "interval" ones (for recent battles). c) I can try doing more workarounds for this issue, which may fix the "interval" rankings. d) I cannot speak for other sites, it all depends how they calculate the interval ratings (for which BTW AFAIK there is no official "standard" from creators of WN7). However, I've heard rumours that at least one of the alternative sites to NoobMeter has troubles with updating player stats lately - maybe not any more, idk. The other alternative site doesn't even do "interval" ratings so the question is moot in that case. e) I suspect that once your intervals will be calculated where BOTH of the snapshots are "inconsistent" then, assuming you don't play beta tanks in those snapshots the ratings will be accurate again. So the problem will partially fix itself over time. But there are quite a few variables at play here, I cannot say for sure. BTW if you are pessimistic and think that WG won't fix the problem any time soon, then you could stop playing beta tanks. I can work around some of the issues, but if you keep playing beta tanks for on which I won't get information, then I cannot fix it. Tnx for looking into it and giving a detailed response, however I didn't play my beta gift tank for months and months now. Maybe had 1 game with it 3 months ago. On the main "Overall" stats column Wn's are 1,741. Perhaps I don't get you, but IMHO your WN7 "Overall" rating is still around the 1,740 mark, so it hasn't been affected. Ok I will do as you say, continue to play as normal. As I understand this is a one-time-thing created by WG removing my stats for some 92 games played in beta gift tanks. So in the next iteration when you calculate the interval score (if no beta tanks are used), things will be back to normal. WG you have been a bad little puppy! Well, mistakes and bugs happen. I just hope WG can fix this one soon, it should be a simple one :). ... But nevertheless, I think that WG should communicate more with people that are enhancing interest in their game. Is this related to the WG-page-remake or should I just stop driving around in the M1A1 Abrams? I think somehow WN is affected. At the same day as the page overhaul i had a utter terible playing day with 7 games and almost no damage. But thanks to those 7 games i dropped nearly 300wn7 points in my last 800 battles. Somehow that doesn't sound right to me. Way to much drop for 7 bad games in comparison to 800 good ones. It also caused a drop in wn7 rating of over 20 points in all the battles. And no, i have not been playing Beta tanks for the last year almost. Could that be in combination witht his warning: "Inconsistent snapshot received from WG: 9,543 battles in tank results, but 9,950 battles in summary results. Calculated ratings"? I haven't played my A32 recently. Could this cause the drop in wn7 value's suddenly? I still cant believe that 7 bad battles can cause a 300 drop when added to 800 good ones or a drop of 20 when added to 9900 good ones.. Yes, you are right. I had forgotten how the formula goes. The drop in WN7 values is because the WN7 rating actually depends on it, but without the beta tanks the average tier calculation returns different results than with it. You have 407 battles missing in your profile now, that is quite a bit. I fixed the post on the top, thanks for pointing this out. I also think WN's are affected, I just hope it's a one-time-thing (snapshot on the day when the WG removed the beta tank data calculated that you did nothing in all the games played on beta tanks). He has a 20 points drop and no 7 bad games can affect 9,950 total battles like that (and they were not that bad also). Yes, you are right. See my reply to wontcachme. I posted on the forums about this almost a week ago. I also sent several private messages to some of the active developers and a support ticket. They cut/pasted a reply to my support ticket that I then tried to clarify and they have since not responded to them. Not sure when/if this will get fixed. Yes, I wish they would provide some visibility on the issue and a confirmation that they are fixing it (rather than that it's stuck in some queue of "low-priority things we don't plan to ever fix"). When the players on the RU server start to moan about it, it will get fixed asap, I hope. Until then, are we to expect WN6/7 formulas to be adapted to the current situation by their authors? I somewhat doubt there will be changes to WN6/WN7 because of this. At most there could be WN8 that ignores avg tier, but I doubt that too. But in any case it is not my decision to make. I made some more workarounds that should improve avg tier calculation for intervals in case of inconsistent WG data. But the ratings themselves, like WN7 and PR, will still be slightly off (not by much for most who haven't played beta tanks too much). Don't know the amount of work it is, but is it possible to let people upload their WoT dossier to fill in the blanks? So you scrape the website and when someone uploads their dossier it will check for the missing/different value's and adjust the data on the website to them? At least for now it is possible to work around beta tanks this way. Why don't you make smart phone app? I'd like to start with something simple - can you list top 3 features you'd like to see in the smartphone app? Is it just me or is the noobmeter site having issues? It's not just you. There are some issues but I hope to fix them soonish. I migrated to a more expensive disk array - hopefully should help the database cope with the rising demand. It is possible to add button on side with user statistic "update" if last check was more then 24h ago? And sometimes ppl have very old stats, month or more old. Krzysztof, interesting idea - but can you first provide me your username so I can check, maybe your account doesn't update for some other reason? no update yesterday and today. I think about one more thing, cache. Now its work on timeout (I think so), but maybe make etc 1 month, but clean it when new data are added (so for signed it be clean 1 per day, or less). So clean cache on event, not on timeout. PS If it is write in PHP i can give u hand. PPS sorry for my english, I not write in it a lot. I checked your account, Krzysztof, and it is the subject of a rare bug (affecting, to the best of my knowledge, your account and one another account). I will now deploy a new version which should fix the issue so that your account will get updated on the next daily update. If that doesn't happen then I will think of other solutions. Thanks again for the problem report and for the suggestion to help (but it is not PHP, it is Java). Thank you, so I wait for update, and if something wrong I write about it. It has updated today - so the fix has helped. There is still problem, today's statistics isn't refreshed. Yes, and it seems only your account is affected again. Sorry. So, any news regarding those "Inconsistent snapshot received"? Are there any solution? The only real solution is for Wargaming to fix the issue. Perhaps if you open a support ticket with them they will realize it is a real issue and will fix it. Yes, thanks for letting me know. The EU server update trigger doesn't fire. I have cleared and recreated this, and rewritten some of the code related to it - hopefully it will work from next night on. Also I did a manual update (again around 9am :/). I'm not sure what the cause is, but WG is not returning your profile. But in practice it only returns "Lỗi máy chủ không xác định". Hi NoobMeter can you repair my profile? My M4A2E4 Sherman is not in my stats. No, unfortunately I cannot because WG doesn't include the tank in its website http://worldoftanks.eu/community/accounts/500057998-bot666/ . You can create a support ticket to WarGaming, but supposedly they are already working on it. Do you know when they have fix it? I heard they are working on it but no dates. Can you try again? If it was for the Korean server then I just deployed a fix to the OpenID there. I get the warning about "Inconsistent data in WG feed", and the only tank that is missing from my lists is the E-25. Otherwise you have made an excellent site for us noobs! That's unfortunate if E-25 is missing in the WG feed / webpage, when it was only just added. You may want to create a ticket to WG for that. I want see my rating. My account is not closed. There was another old account in NM database with name "kin". That was the source of the problem. I removed it, now it will grab yours. Done, however it will take a few hours for caches to clear. Inconsistent snapshot received from WarGaming: 19,033 battles in tank results, but 19,378 battles in summary results (difference 345 battles). Calculated ratings may be imprecise. Not much I can do until WG fixes its feed. You can review which tank is missing in http://worldoftanks.com/community/accounts/1001181620-GOOROO/ (usually one of the special ones, as listed above), then create a ticket for WG to fix it. it's due to MT-25 changed with T-50-2. Also the E-25... This is starting to get annoying. I haven't opened a ticket since lots of other people must have done so, but ...? Perhaps I should. Wise words. I'll open one right away. "Currently there is not ETA, it will be done asap." Fair enough. Though I really don't get how this error could happen, they must / should SELECT stuff from type as an array from the db. Oh well. I find it hard to imagine how it can be anything but a trivial "5 minute" fix, but then again I haven't seen their code, so perhaps they have their reasons. Only 9 battles not fetched (9326 vs 9317) - quite normal. I suggest you link your WG account to Wargaming account using the login feature. But 34 battles are missing in WG results though, as per the blog post above. 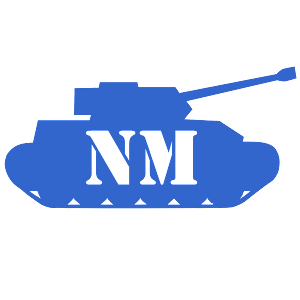 Not seen any of my M60 prize tank battles on noobmeter yet any chance u can fix it? Only WarGaming can fix it. M60 is unfortunately not present in their web / API feed. You can open a ticket for them. Yes, your evaluation of the problem is correct. The come-back of the disappearing tanks is causing some problems. The good news is that over time the old "inconsistent" snapshots will be replaced with newer good ones so that the problem resolves itself relatively soon. I see when they fix this ? I really don't know. Depends how many people complain. Why I have diference of 126 games from few weeks ago? Where are gone those games? And have a big performance drop in period which is not usual, I think that games missed from 12.10.2013. to 19.10.2013. Can't see KV-220 stats. Every battle with this tank increases the difference between WG and NB stats. Both KV-220 and BT-SV are not counted in. Should we expect these two to be fixed any time soon? Did you get any response from WG after you sent those tickets? My BT-SV does not even appera in the player stats of the Wot portal. Please all of you open tickets or WG will never fix the game. How exactly should we send a ticket? I mean, what should be the subject and which exact issue we should address in the ticket? WG marked my ticked/issue as resolved.. That should mean that they have fixed that issue, but somehow I didn't get that feeling. do you guys have added the new japanese tanks for the 8.10 update? Japan Chi-to not display data in my profile. i have a problem...my profile isn't updated since 26 morning. Helo , Check my accaunt plz ... Candyshoop ..
Slightly OT but this seems the best place to ask - please let me know if there is a better one. According to wiki.worldoftanks.com there are two KV-220s: "KV-220" and "KV-220 T" also shown ingame as "KV-220 Beta-Test". However on http://www.noobmeter.com/tankList there are three: KV-220 (action), KV-220 (test) and KV-220 Beta-Test. I have seen KV-220 and KV-220 T ingame and they show up in wotreplay files of mine as vehicleType ussr:KV-220_action (KV-220) and ussr:KV-220 (KV-220 T). So what is the third one? A mirage? There is no more inconsistent data for any vehicles..
looks kinda weird. DixDogfight did 254 battles in the 250 period and of those 254 battles 1375(?) was in M6A2E1. Maybe this is still a known problem, but I thought I'd just post it anyway just in case. Thanks for a great site/service! What is wrong with statistics after 9.0? Suddenly it says I am missing like 1000 battles and dropped over 30 WN8 for no aparent reason. Everything was fine yesterday before 9.0 and new XVM version introduction. I was playing mostly AT15 and E25, what could have gone wrong there? Same problem here. All of my ratings dropped (except: Efficiency Rating). Noobmeter says that there are missing 488 battles missing for the calculation. The problem is probably the separation of the Pz IV (H). Oh that makes sense, I have the exact same battles as the ones I am missing. 900+ battles in PZIV. Thanks for pointing that Fabian. I have the same problem after 9.0 release. My Pz IV was renamed, i dont see this tank in my stats. when new tanks like PZ IV H will be actualized on noobmeter? something isn't OK with calculation on site ,but I do not see any notification about it ? hi, pls check this --> Pz.Kpfw. IV is now Pz.Kpfw. IV Ausf. H! Change your programm to show correct stats. I looked at WOT account and they also assigned all battles played i the passed with Pz.Kpfw. IV to Pz.Kpfw. IV !!! Seems like SU85I brought new inconsistency in..
i see that M60 is already in the stats...but VK7201K is not. wondering if some good souls can also submit tickets to WG to resolve it. Cheers. i havent noticed this before today. but if you count my battles for each tank below the summary it is 12 matches. dident play any beta tanks yesterday as you see in the list. Since it is only 4 matches it does not make a big difference, but did not play any beta tanks yesterday. My stats have always been wrong, I'm 2319 in-game and tomorrow will update to 2350+, feldzug.net has been showing the correct values that xvm shows however. my stats are most likely completely wrong on here. by this i mean my stats are wrong, i do not own the tanks you named above. Looks like inconsistent screenshot is caused by T23E3, any idea when WG will fix this? I also have some difference in games, 12 to be exact (http://www.noobmeter.com/player/eu/maradin/505928066/) and i think this has to do due to the Fury tank (i played about 12 games in it). When i look for this tank in the list it doesn't show up (i looked for fury and E8). Might this be the issue some people have? Inconsistent snapshot received from WarGaming: 7,483 battles in tank results, but 7,484 battles in summary results (difference 1 battles). Calculated ratings may be imprecise. Similar problem, missing battles and broken stats. User: Merkoth (NA). Hi, heres a screen of my stats, i think theres an issue. My Stats are off by 15 battles, can I fix this? Have some problem,Wg reset my account and then my wn8 droped for about 100 in 3 days. M56 Scorpion is still not in statistic on this site.